KNE was created on the 15th September 1968 by resolution of the Central Committee of KKE, during the military dictatorship which lasted 7 years (1967-1974), and under conditions of illegality. Based on the experience of the youth movement, the National Conference of KKE highlighted about KNE: “The existence of a revolutionary youth organization, under the direction of KKE, is definitely necessary. No other youth organization, as massive and radical as it may be, cannot replace or substitute KNE”. We don’t struggle just for the struggle, we are not any radical combative youth. We are the youth of KKE, we prepare the future members of the Communist Party, we construct the army of the revolution. We don’t fight simply to improve the conditions of life, work and education. We are not absent from any struggle for the relief, for even the smallest conquest. But we are conscious of the fact that exploitation and class barriers cannot be moderated and there cannot be any essential improvement in a decadent system which suffers consecutive crises. The living conditions will constantly worsen. We want to make conscience the fact that real change can come only with the overthrow of capitalism and the construction of socialism. Our era is the era of transition from capitalism to socialism. This is an objective fact, not determined by the correlation of forces. However, no future can be built without the conscious human action. The revitalization of the movement, the ascension of class struggle has a presupposition, which is the restitution of the vision of socialism – communism, to convince the workers and the youth of the real way out and their power. The youth’s future is not capitalism, it can only be conquered by the struggle of the working class, in order to build their own society. The reinforcement of KKE and KNE is the main factor in order to bring forward the issue of struggle for socialism, the final solution of the basic contradiction we experience, between the increasing socialization of work on one side and the capitalist expropriation of the richness produced on the other side. The reinforcement of KNE, the stable ascension of our organized forces and influence to the youth and its movement, depends a lot on an important subjective factor, the rich internal life of the Organization, where all our members participate actively with proposals and thoughts, and work all together for the application of the decisions commonly and with active participation. In order to respond as a vanguard revolutionary political youth Organization at the side of KKE, we have to acquire constantly an ascending level of understanding of Marxist-Leninist theory and the strategy of the party, to deeply undestand the problems and needs of youth, to acquire the revolutionary conscience and resistance under any conditions and phases of the struggle, the capacity to rally forces, to make comprehensible and well-aimed propaganda. To diffuse as widely as it gets the policy and the positions of KKE and the specialized positions of KNE for youngsters who suffer under the consequences of the power of the monopolies, to organize wider youth forces to the struggle against capitalism, toward its overthrow. 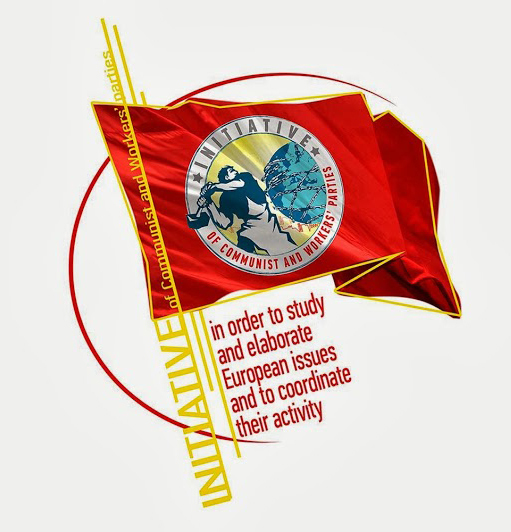 In International Level KNE struggles for the cooperation of the Communist Youth Organizations (CYO) in continental and international level, for the support of the anti-imperialist struggle, against the imperialist wars and interventions, the capitalist exploitation and the capital’s policies, for the strengthening of WFDY. Our contribution on the side of KKE, for the reorganization of the International Communist Movement, is a central issue in our international activity. In addition, it is our contribution to the enhancement of the joint action and coordination of the CYOs, against the anticommunism, for the projection of Socialism as the only way out of the capitalist barbarism. An important contribution in the international activity of KNE will be the study and thorough discussion about the International Communist Review (ICR). KNE is bound to enhance the efforts for the boost of common activity and solidarity between the CYOs. Nowadays, the endurance and strengthening of the CYOs could substantially contribute to the general effort for the reconstruction of the Communist movement worldwide, to the struggle that takes place inside the Communist movement in an international level, between the line of revolutionary rupture with imperialism and the line of incorporation and manipulation of the movement. The CYO’s should develop their ideological and political struggle against the bourgeois’, petit-bourgeois and opportunist currents. They should face the effort of erosion, dissolution and subjugation of the Communist forces made by opportunism and its forces. Faithful to the principles of proletarian internationalism and international solidarity, we will stand more decisively next to all the peoples and Youth Organizations that will be in the crosshair of imperialism. Amongst our priorities is the support of class friendship and solidarity between the people of Greece and Turkey against the plans of NATO for our region, against the plans of the plutocracy and governments of both countries which reinforce both their antagonisms and the anti-peoples cooperation between them, against the participation in aggressive plans in the greater area. We express our solidarity towards socialist Cuba, to the peoples of Cyprus and Palestine, the peoples of the Balkan, Middle East and Latin America.